Planning a safari in Africa? 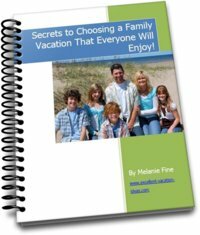 Going to Africa on business? 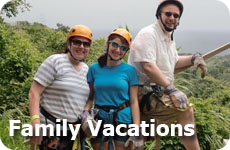 Taking the kids on an exotic trip? Well before you go, think about what electronics you will be taking with you and whether or not they are dual voltage or require a power converter. 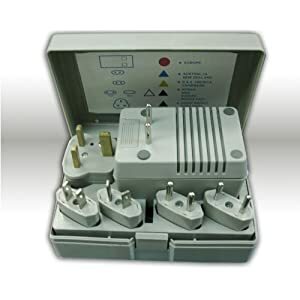 This travel converter kit contains a power converter from 220/240V to 110/120V and all the adapters you will need to travel to Africa and the world. Don't get caught with a dead battery for your camera because you can't charge it with the power outlets in Africa. 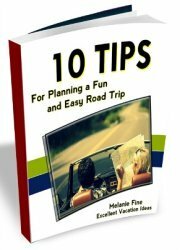 See more great ideas for Travel Power Converters. Are you travelling to South America from the UK, Australia, Asia or Europe? If so you will require a power converter for your appliances and electronics that are single voltage 220/240V. If your electronics are dual voltage then you will only require an adapter. Luckily this Converter Kit has both a great transformer/converter and adapters for every part of the world. This converter is also designed for appliances like hair dryers and curling irons. It's compact case and design allow you to throw it in your suitcase and take it with you easily. 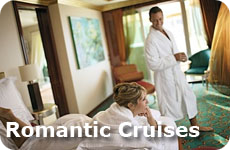 Planning a New Zealand Vacation? Make sure that your laptop, camera battery charger, iPods, handheld games and any other electronics are dual voltage. The power in New Zealand is 220/240V and if your electronics are only 110/120V then you will require a converter like this one. If your electronics are dual voltage or 220/240V, then you may just need an adapter. This kit comes with adapters for all over the world and an converter in a compact case. So on your remember your power converters when you are planning and packing for your vacation to New Zealand. This Converter kit has the converter and adapters for every country in the world. 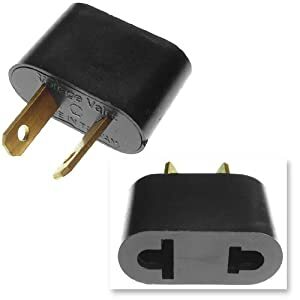 If you are coming from a country with 220/240V to a country that uses 110/120V or vice versa, this converter will do the job. If your appliance or electronics can use either 110/120V or 220/240V then you only require an adapter for the country you are travelling too. This kit covers that too. So for your next vacation to a foreign country, take this kit and you can't go wrong. This power converter is a step down converter if you are travelling from a country that uses 220/240V power to a country or area (like North America)that uses 110/120V. The cool thing about this converter is that it also has a USB port you can use to charge iPod's Iphones or other MP3 players. The company claims that it takes half the normal time to charge these devices. This item works in more than 150 countries worldwide and provides fuse protection. So don't forget to take this converter for your next trip to North America. International plug adaptor Australia, New Zealand and China. When travelling to Australia you will at the very least require a power adapter as the prongs for their electrical outlets are quite different as you can see in the photo above. 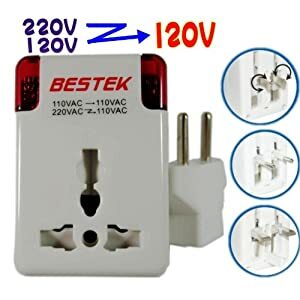 If you are visiting from the United Kingdom, parts of South America, Europe or other parts of Asia that use 220V/240V then you won't need a travel power converter. 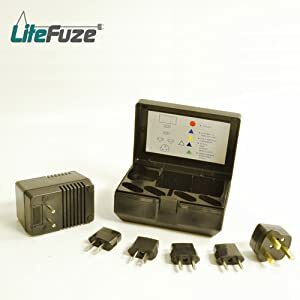 Visiting from North America, parts of South America or the Carribean and you will need a power converter as well if your electronics are only 110V/120V. I remember when I lived in Australia, the back of my CD player melted as I didn't have a very good converter. In this day and age however, that shouldn't be a problem. For that matter I don't think anyone has CD players anymore! So on your next Australia Vacation, don't forget to take your adapters!